There are piecemeal initiatives, but no political will to create lasting change. Students head back to school this month to universities across the country; it's a time to participate in social activities, a time to figure out what career path they'll pursue, and — for many — it's a time to rack up more overwhelming debt. And that debt is only going up for students and young people in Canada. According to a recent report from Statistics Canada, tuition fees have increased by 3.1 per cent for undergraduate programs in the 2017-18 academic year. Tuition to a Canadian university costs an average of $6,571 per year, with significantly higher average annual costs for programs like dentistry ($22,297), law ($13,642), and engineering ($8,099). For many millennials — part of a generation so often critiqued as financially irresponsible — what awaits them after graduation is a job market riddled with precarious employment and undesirable contract jobs, a closed housing market and a legacy of student debt that's higher than ever. Many young people leaving university have no options but unpaid internships, temporary work, or minimum wage employment — circumstances that make tackling leftover debts challenging, if not impossible. Young people are also disproportionately represented in overall statistics on homelessness (18.7 per cent), food insecurity (10 – 17 per cent depending on age), and precarious employment (where employees face a lack of protection or inadequate rights at work). 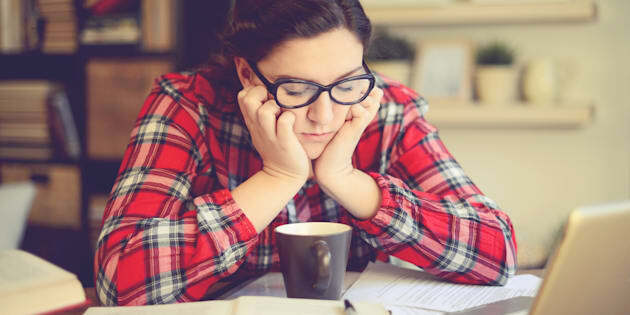 For many young people graduating university or college, their escape from student poverty is closely followed by the experience of working poverty. Ontario Premier Kathleen Wynne announces a new free tuition grant for students going into secondary education in Kingston, Ont., on March 31, 2016. Governments in Canada have taken some steps to address these conditions. 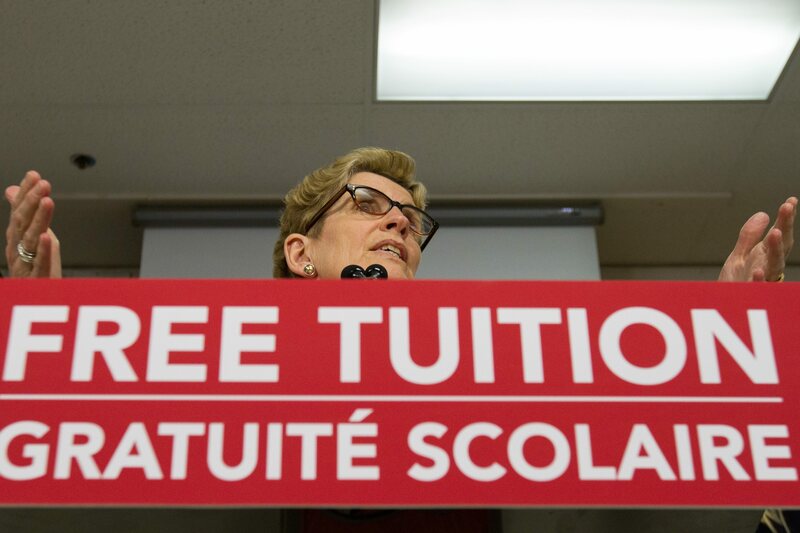 Last year, the government of Ontario announced the new Ontario Student Assistance Program to make tuition free for 210,000 students in the province and the government of New Brunswick took a similar step for low-income families. Recently, the government of British Columbia announced a program to make tuition free for former youth in care. And recently, Employment Minister Patty Haiju announced a new federal student co-op program, as well as indicating her ministry's intention to ban unpaid internships. With these and other measures, we appear to be heading in the right direction. In the anti-poverty movement, we know change is about progressive realization — small steps forward toward a larger vision of achieving human rights, like the rights to education and an adequate standard of living, for everyone in the country, rights the Canadian government has a legal obligation to uphold. On the other hand, these initiatives are piecemeal and are not part of a long-term overall vision of addressing the poverty that exists both as a barrier to accessing post-secondary education for many people in Canada, as well as the consequence of pursuing that education in pursuit of a better financial future. In order to succeed, these programs and small steps must be backed by the political will for something much better. These initiatives are part of a larger system of debt and insecurity plaguing students and recent graduates in Canada. And the loans students incur to access the education they are told will ensure economic security contribute to this climate. Ontario graduates with loans through OSAP pay a staggering 5.2 per cent (prime + 2.5%) in interest for the contribution by the federal government, compared to the interest rates of private financial institutions at 4.7 per cent, or even 2.25 per cent for some programs. For many young people, this high rate of interest on their largest source of debt, coupled with the insecurity of post-graduation life, creates a cycle of financial instability that can be decades-long. Some government programs underscore the lack of political will to create lasting change. The Canada Learning Bond — a federal initiative being promoted right now — provides a $2,000 government contribution through a Registered Education Savings Plan (RESP) to individual students. Tuition costs of an average four-year program in Canada sit at $26,288, meaning the bond, however well-intentioned, barely makes a dent. In fact, it contributes less than eight per cent towards average tuition costs — and even less when you take into account living expenses students accrue while pursuing their degrees. When we look at programs like the Canada Learning Bond in a vacuum, it makes sense that people applaud them — it is funding flowing directly to students to help them pay for their education. But digging into the details illustrates the gross inadequacy of these programs, not only towards helping students stave off long-term debt, but also towards fulfilling their right to education. In order to succeed, these programs and small steps must be backed by the political will for something much better. And governments can do so much more: increase federal transfers with conditions to provincial and territorial governments, create programs for youth employment based in human rights, and commit to guaranteeing the right to education by making post-secondary education tuition free. Until we make a real commitment to break the cycle of poverty for so many young people, the celebration of efforts to solve this crisis are nothing if not premature.